What if your dog has a medical emergency? An emergency can happen anytime to any of us. Are you able to administer first aid to your dog if necessary? 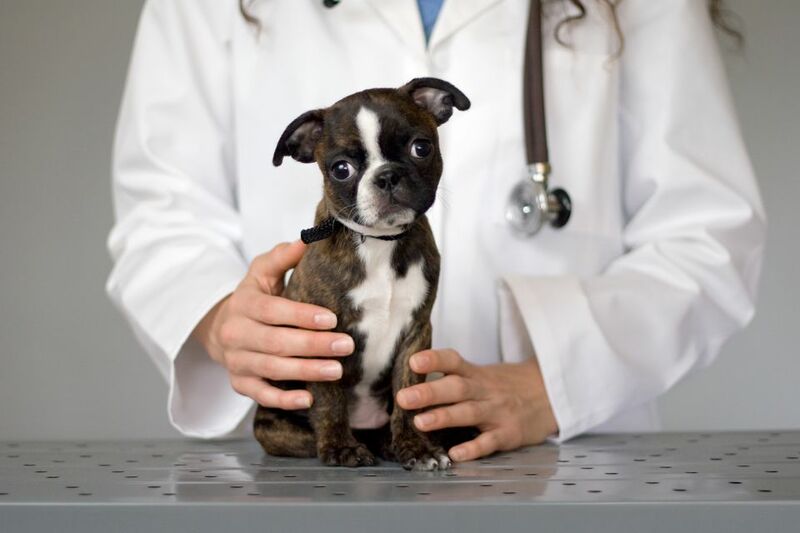 It takes extensive medical training to medically treat pets correctly and thoroughly. However, you can still learn a few simple ways to potentially save your dog's life. As a dog owner, it's a good idea to understand some life-saving first aid basics in case your dog has a medical emergency. The best place to treat a pet medical emergency is at a veterinary clinic. If possible, call your vet's office immediately, then head over if they advise it. Even better, you might get in the car and call your vet's office on the way there. If an emergency happens when your vet is closed, (or when you are out of town with your dog) then find a 24/7 emergency clinic. Familiarize yourself with the location of emergency vets near your home and near places you travel with your dog. If an emergency occurs and you cannot immediately transport your dog, calling a veterinary office is the first step. They may be able to talk you through some life-saving steps. Alternatively, you can buy an assembled pet first aid kit that contains some or all of the necessary supplies. Keep your pet first aid kit in an easy-to-reach spot at home. Don't forget to bring it with you when traveling with your dog. Better yet, make multiple first aid kits to keep at home and in your car(s). Remember to inspect first aid kits every few months to ensure they are organized, well-stocked, and that items are not expired. If an emergency does occur, stay calm but act fast. The first thing you should do is assess your dog: is he breathing? Conscious? Bleeding? Once you know how to respond, you can take measures to stabilize your dog. Then, contact your vet as soon as possible. Follow your vet's advice, which is often to get your dog to the vet right away. It's best to take the time now to learn how to identify and handle some of the more common emergencies. Do this before your dog has an emergency. Remember, the best plan is to be on the way to the vet clinic and/or on the phone with the vet clinic. In the meantime, there are some steps you can follow to begin first aid for your dog during an emergency. If your dog is gasping for air or gagging, it is possible he is choking or experiencing some other form of respiratory emergency. If possible, carefully try to open your dog's mouth and look for an airway obstruction. If you see an object, you may try to remove it. Be careful not to get bitten! If the object cannot be removed, try lifting your dog off the ground with the head pointing down (for large dogs, lift the back end, elevating the abdomen). If the object does not fall out, you may need to try some ​different choking maneuvers for dogs. If your dog is completely unconscious and NOT breathing, there is a good chance there is no heartbeat. Your first step should be to try and get your dog's attention and make sure there is no response. Next, try to listen for a heartbeat by placing your ear against the left side of the chest just behind the elbow. You may also try to feel a pulse by placing two fingers on the inside of a back leg, specifically in the middle of the inner thigh. If you cannot detect a heartbeat or pulse, it is possible that the dog's heart has stopped. CPR (cardiopulmonary resuscitation) is best performed by a trained professional. Sadly, the fact is that a very small number of pets that experience respiratory and cardiac arrest will recover and go on to live healthy lives. However, if you want to give your dog the best chance, you may wish to start CPR. There are two main components to CPR: rescue breathing and chest compressions. Take the time to learn how to perform CPR in advance in case you ever need it. A trauma may result in external and/or internal injuries to your dog. If your dog is bleeding from the nose, mouth, or another orifice, there is not much you can do but get to the vet immediately. If your dog is actively bleeding from an external wound, gently place clean gauze or cloth over the wound and apply moderate, consistent pressure to the bleeding site. In cases of excessive bleeding, elevate the area if possible. Try not to disturb the clot by lifting the gauze or cloth. If it becomes soaked with blood, simply apply another layer of cloth or gauze. Maintain pressure on the wound until you reach the vet clinic and a professional can take over. You should have a veterinarian assess your dog's wounds as soon as possible. Wounds have a better chance of healing if they are properly and quickly addressed. Waiting to have the wound treated by a vet will increase the likelihood of infection and other complications. It may also make treatment more expensive. If your dog has a wound that is not profusely bleeding (or if the bleeding has stopped), the best thing you can do is to take to your vet for medical attention. If you cannot get to your vet immediately, try to clean the wound with a sterile saline rinse or betadine-based antiseptic wipes. Cover the wound with a non-stick pad, wrap it with some gauze, and secure it with bandage tape until you can get to the vet. NOTE: This bandage should remain on your pet for no longer than 24 hours. The sooner you can get to the vet, the better. Within one hour of the injury is ideal. Wounds from fights with other animals are especially prone to infection, so do not delay. If your dog has suffered a trauma, you may or may not be able to tell if he has broken any bones. If you suspect broken bones, be sure to minimize movement of that area. If there is an open wound, proceed with the above recommend recommendations for bleeding and wounds while trying to keep the area stable (minimize movement). Head to the vet right away so the fracture can be stabilized and your dog can get pain medication. Different toxins require different treatments, so there is no single way to handle toxin exposure in dogs. If your dog has come into contact with a hazardous substance, your best bet is to call a vet or poison control hotline. If a poison was ingested, you may or may not be instructed to induce vomiting. If there was skin contact with a toxic substance, you should wash your dog off thoroughly. In most cases, a follow-up with your vet is recommended. In some cases, you may need to rush to the vet. Dogs are very susceptible to insect stings and bites because of their natural curiosity. Most dogs will be minimally affected by one or two bee stings or bug bites. However, multiple stings/bites, or a sensitive dog, can lead to a serious allergic reaction. if your dog is stung or bitten by an insect, clean the bite area (remove the stinger if visible). If mild swelling occurs, you may wish to give your dog some diphenhydramine. Ask your vet to confirm the proper dose. Most dogs can safely have one milligram of diphenhydramine per pound of body weight. Be aware that this may cause drowsiness. If ​the swelling is severe at the bite or sting site, if your dog has facial swelling or hives, or if your dog develops trouble breathing, transport him to the nearest vet office for treatment. Snake bites are a different matter. These can be fatal if left untreated. If you think your dog was bitten by a snake, get to the nearest vet clinic right away. If what you thought was a bug bite, bee sting or mild wound begins to look more serious, you should not wait to see a vet. A seizure is not always an emergency, but it should not be ignored either. If your non-epileptic dog has a short seizure and recovers well, you should see your vet as soon as reasonably possible (within a day or two). If your dog has a seizure lasting more than a minute or has multiple seizures in a row, you should go to the nearest veterinary clinic immediately. Dogs are not very efficient at cooling themselves, which makes them prone to overheating. If your dog has been in a hot environment and is in any distress, it could be heat stroke or heat exhaustion. First, take your dog's temperature rectally. If it is over 104°F, it may be heat exhaustion. Over 106°F is heat stroke. Proper cooling is the first step in treatment. Get your dog to a cool area with plenty of cool air circulation (air conditioning is best, but a fan is better than nothing). Wet your dog down with cool water. WARNING: Do not use ice or very cold water. These can cause blood vessels to constrict, trapping in heat. Continue to check the rectal temperature. Stop cooling your dog at 103.5°F to avoid over-cooling. See your vet as soon as possible, even if your dog seems better. Internal damage may not be apparent for days. Gastric Dilatation-Volvulus (commonly called bloat or GDV) is a serious condition where the stomach fills with gas and/or food and twists. Large, deep-chested dogs are at an especially high risk for this condition. If your dog develops an extremely distended abdomen accompanied by extreme lethargy and, in some cases, unproductive retching, it might be GDV. There are no first aid measures you can take. The only thing you can do is to get to the vet immediately. Any injury or illness that your dog experiences will require some attention on your part, even if it's just to watch and see. Know the signs of illness in dogs and how to react. If you are unsure how serious your dog's condition is, contact your vet. When in doubt, don't wait. Just see your vet. Hopefully, you will never experience an emergency with your dog. However, the possibility is always there. By taking the time now to learn how to proceed, you might be able to save a dog's life someday.